At the brewery, since the floors are done, security system installed, the fermentors in, this was the last item to get moved. This system features jacketed/insulated tanks. It cost more but it will be well worth it as far as heat-up times, even temperature gradients and overall safety. Crating them up for a little cross-town drive. No scratches on this highly, polished tank. 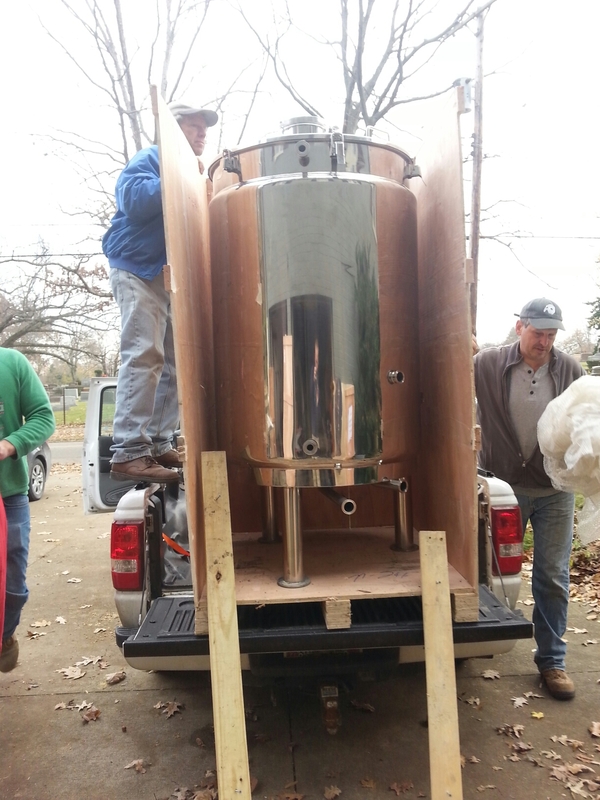 Why a 3.5 bbl Brew System? That question is one that I have spent a lot of time on a spreadsheet with and running endless calculations. There is an overwhelming amount of anecdotal and written evidence that when most brewers start with anything less, even down to a homebrew 1/2 barrel system, that it is a rough time and a lot of work (A LOT) assuming you are successful. Anything smaller than a 3.5 barrel will not allow you to produce enough to make much, if not any re-investment to a larger system. Of course there are brewers that HAVE made it on a smaller system and have eventually upgraded but these are the outliers. If you are successful on a smaller scale you are brewing nearly every day, if not multiple times a day…cleaning kegs daily, etc. *The above does assume some kegging and bottling for distribution. If you JUST have a taproom, it is easier on a smaller scale, though a lot more limiting. Since brewing on my pilot system for the last three years, I wanted to do this smartly…don’t work harder, work smarter…have a system that can fully run a taproom and also provide enough for bottling and limited kegging for others. I have also read countless people writing on forums that they upgraded six months in. Why put all the work in upfront to only redo it in a short amount of time? A 3.5 barrel system will be able to crank out a lot of beer. 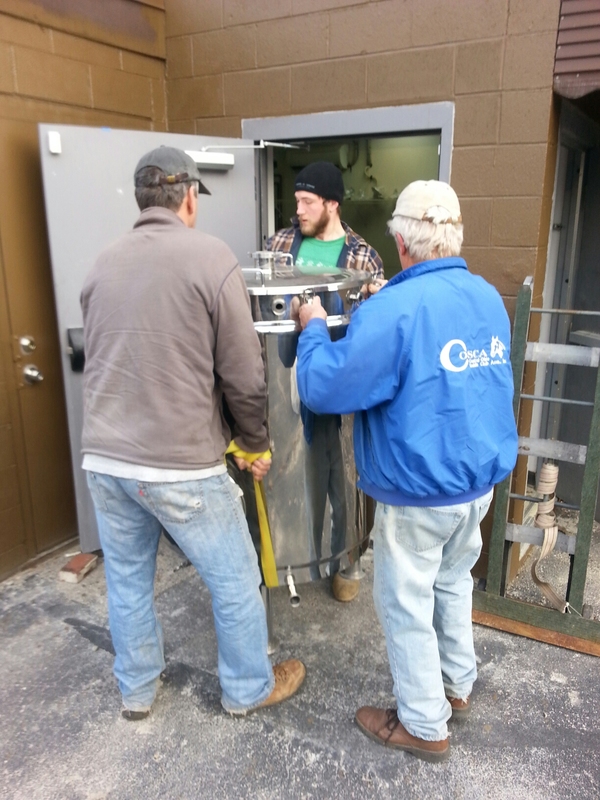 The limiting factor is the fermentors. I can always add more fermentors for more production. 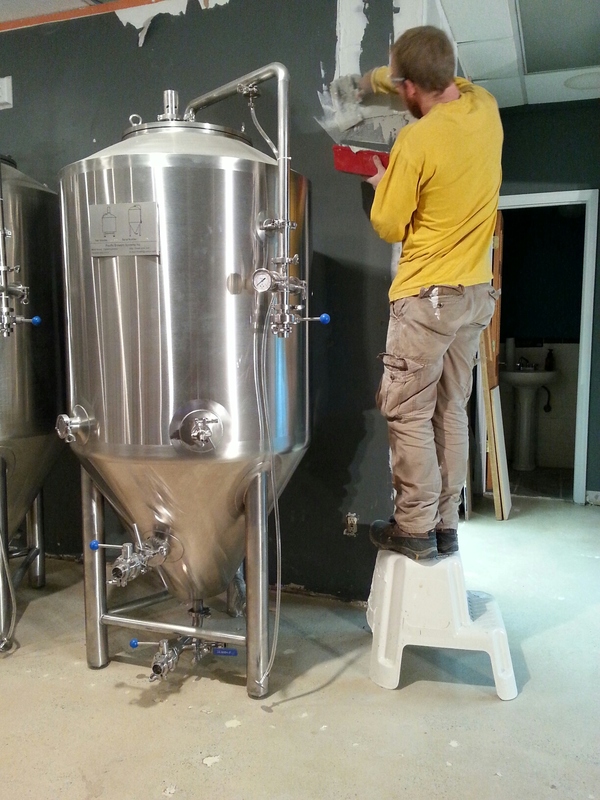 I can even add larger fermentors (maybe 4-5 barrel) and still use the current building. Brewing twice a day to fill a fermentor is not a problem, or to fill it on successive days even. 3.5 barrels equates to six kegs – it offers enough for a busy taproom and some leftover for distribution and will pay the bills while providing some room from growth which would have to be another building. 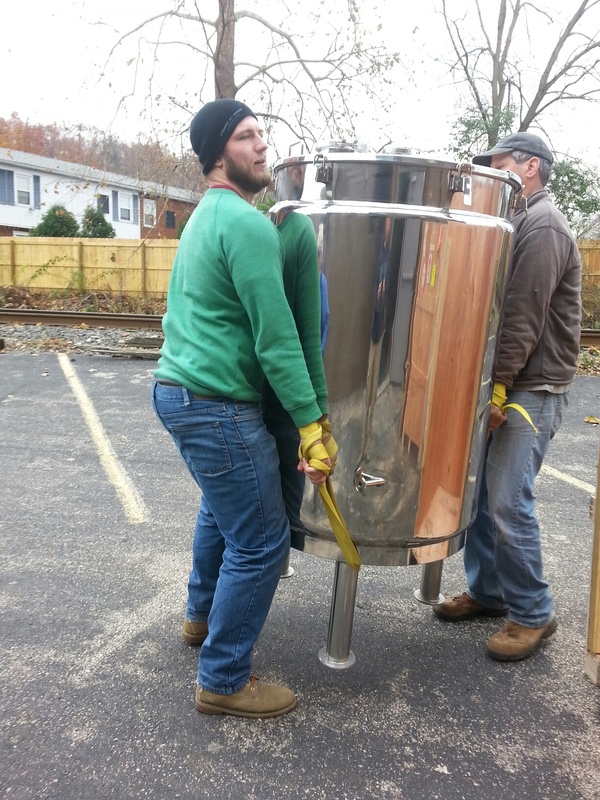 Plus 3.5 barrels is the ‘sweet spot’ size for ample production for a taproom AND the equipment is ‘just’ small enough to fit in a large door and can be moved around with a few guys. 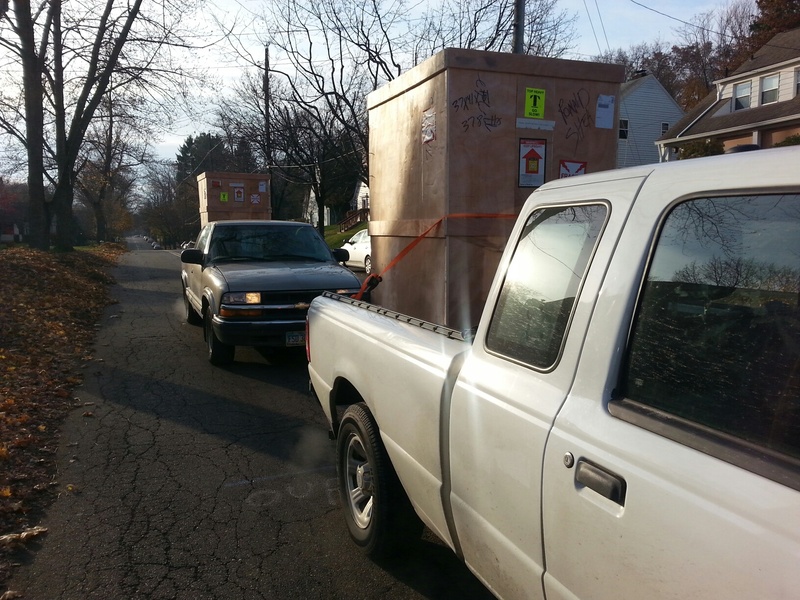 Anything bigger and you have to start talking about steam heating and boilers, and needing a forklift to move anything…and able to get it inside. Also that would involve a large expense to retrofit a building for larger equipment as most glycol systems will now require 220 voltage, bigger plumbing, etc. 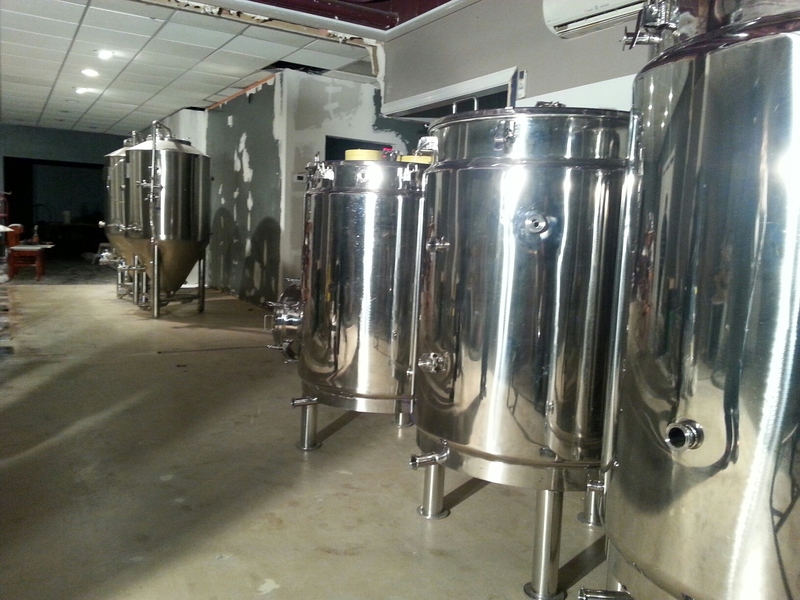 Also, the cost of a bigger brewing system starts to skyrocket after three barrels. I wanted to keep my expenses down, with a system just big enough to put out a lot of beer that didn’t cost me an arm and a leg in terms of a loan. The last thing I want to do is leverage my family in this endeavor. I like to play it safe financially and mitigate risk. At the end of the day, if R.Shea Brewing works and y’all like my beer, it’s big enough to handle the volume off the bat and I will still have time to come home to see my family and sleep. If it doesn’t work (though it’s gonna! ), it’s not going to bankrupt me or cause my family unnecessary stress down the road. My dad and I worked on drywalling the outside of it so it didn’t look like a giant…cooler…in the middle of the place. The outside of the walk-in cooler. 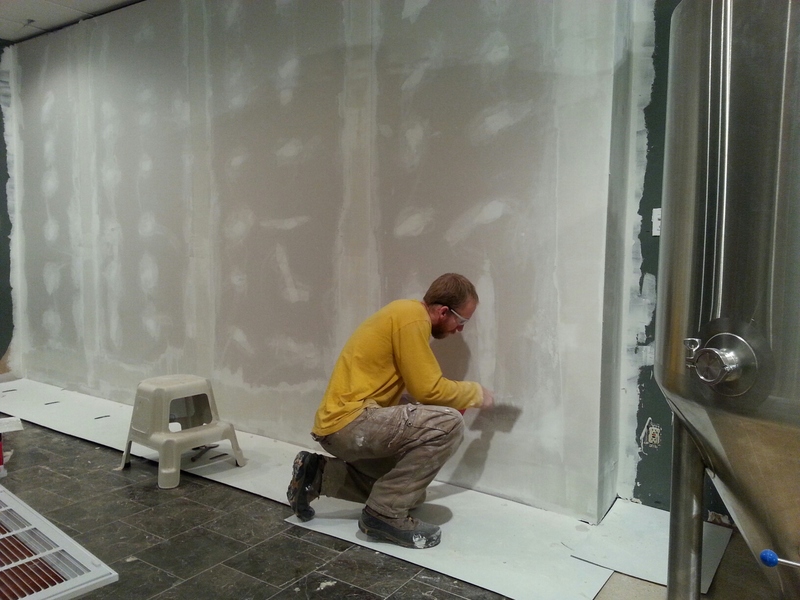 Doing some miscellaneous patching to some other areas to get ready for paint. This was about the one month mark since my application had been accepted for processing. When I submitted, the Feds must not have fully updated the website as it was running around 90 days average for processing. I called up just to inquire on how things are going and if there were any questions. The lady I spoke with told me it’s now 111 days for applications submitted in October. That’s nearly a whole extra month. Let’s hope it’s a ‘wide’ average and I provided a complete application and there are no issues so I can be below it. Install the AC unit and Coolbot and hopefully do a test cool. Work on the piping for the brewsystem and figure out it’s exact location…as then I need to start thinking about the bar. 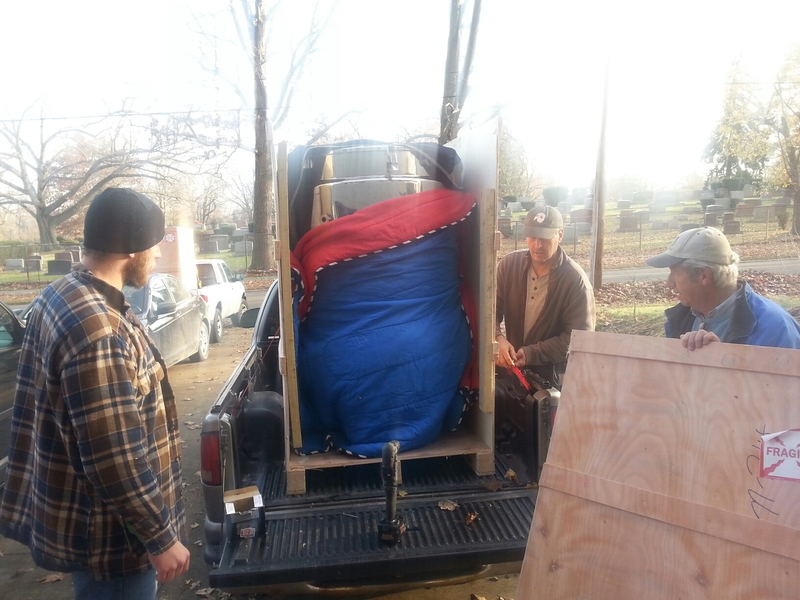 Jesse and John for the manpower in helping move the brewsystem and getting up early Sunday to do it. Thanks to my Dad for all of the interior help this week. He’s been really putting in the hours, many times when I’m not even there. Mmmmmm….3.5 barrels of Citra IPA!